“Missing in Action And Presumed Dead” is a compilation of various unreleased songs, remixes, experimental music and collaborations featuring Barbarossa Umtrunk, Verney 1826, Ezcaton, Karma Marata and Troy Southgate, which were done from 2009-2011. 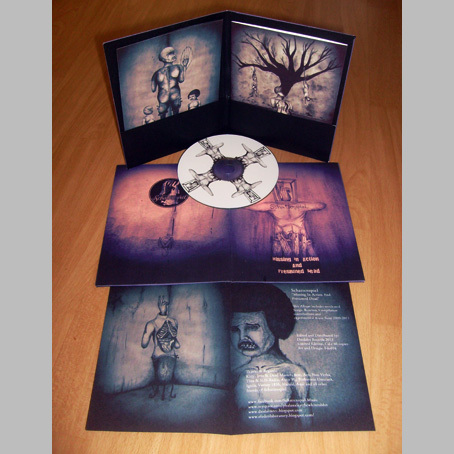 The CD-R format is accompanied by a very beautiful design by Fdo016 from Santiago, Chile. This exclusice compilation, which was arranged by the fabulous underground label Daidalos Records, is limited to 40 copies, only 20 of them are stored in Germany!